The closure of Bishop’s Landing’s Caffe Ristretto (1475 Lower Water Street) has a double shot of silver lining. 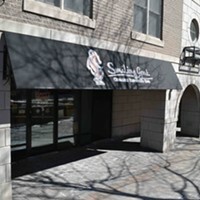 Coffee master the Smiling Goat Organic Espresso Bar (1551 South Park Street) has announced that it will be opening a second location in Ristretto’s former piazza facing space. "It's weird, I had always been eyeing that spot. Right from when we opened on South Park I was looking at other spots in town and that location really resonated with me," says Geoff Creighton, co-owner of of the seven-year-old cafe who says the opportunity came up out of the blue when Ristretto's owners opted to not renew their lease. "We looked at some other places, but there was never really the perfect fit. I couldn't believe my luck when they [Southwest Properties] called me." Creighton says the new space, which is three times the size of the South Park Street location, does make him a little nervous but he's optimistic about what's to come. 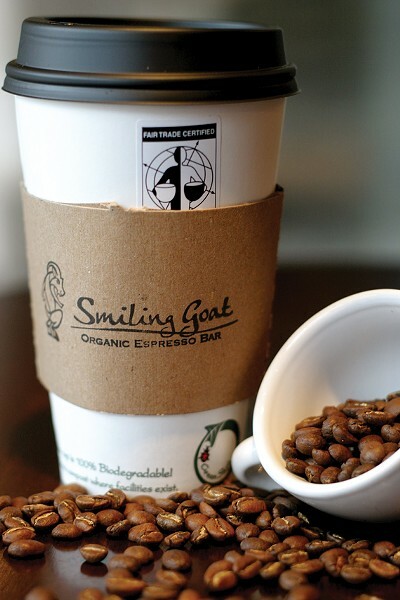 Sticking with Smiling Goat's focus on great, premium coffee (from local roasters like Java Blend and North Mountain Fine Coffee), the new location will also offer small eats—sandwiches and soups—and allow for much more seating space. "We have the whole run of people, everybody comes in, but they all on comment on the coffee and the espresso," he says. "Bishops Landing has same attention to detail with all of those retailers. They're all premium, local, attention-to-detail kind of retailers. And they cater to a clientele that's a little more discerning, not necessarily upscale, but discerning." Creighton has his eyes on March 1 as an opening date for the second Goat. You can peep on reno progress on the cafe's new blog here.